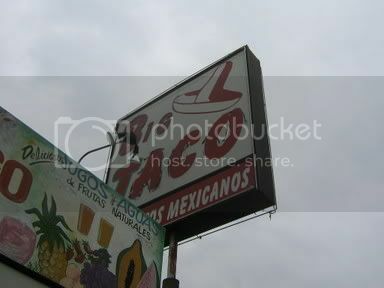 The sign says Big Taco but don't let the name fool ya. 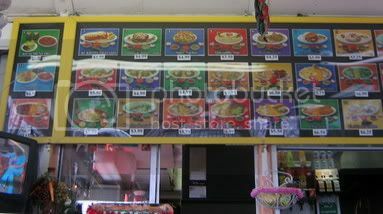 The menu is massive with everything from costillas de puerco to pozole to street eats like burritos and tacos. I ordered a couple tacos and a large tamarindo and enjoyed a complimentary plate of chips with frijoles and queso drizzled with a smokey red sauce while I waited. At first I thought that I was being bribed because I'm a taco reporter but then I noticed that the chips were free for everyone. Boy they were delicious though. 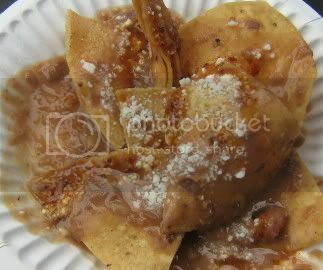 With a big cup of tamarindo over ice in one hand I devoured my tacos.They were so small it only took two bits but boy were they satisfying. The asada was greasy, juicy, and delicious. 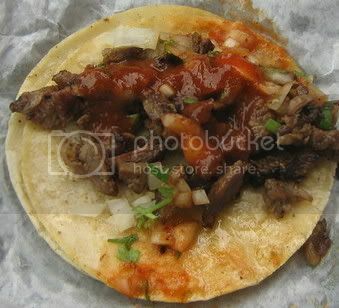 The smell of the toasted corn from the tortillas hit me first, with the smokey salsa roja nipping at my senses. 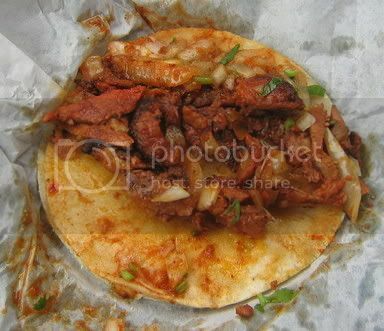 The Al pastor was just as good with tender slices of pork and carmilized onions with the right amount of saucyness and charred bits of puerco. Excellente! Next time I'll ask for the big taco. I usually agree with you, Bandini, but I think the chips and frijoles did blind you. After reading your post, I had to rush out and try El Big Taco. Great tacos, close to where I live, that might obviate the need to go to El Taco Llama or King Taco for great asada with a smokey salsa rojo. I give you that the chips were delicious. But the tacos were not very flavorful. The asada had almost no flavor and the pastor, though saucy, seemed just okay. The biggest letdown was the salsa. It had very little smokiness and smokey is not a word I would use to describe it. Well, I guess we'll just have to disagree on this one. I still love the blog and will keep reading for more suggestions. Aha! You do make it to the valley now and then! Hello Bandini :) This comment isn't directly related to this post, but thought you might like to know - in case ya don't already know - there's a new spot in Eagle Rock opening up soon called...TACO SPOT. It's on the south side of Colorado Blvd just east of Eagle Rock Blvd. I checked out Big Taco- I liked it. thanks for the heads up. Eagle Rock is becoming a hotbed for taco activity. I liked the late-night vibe at El Big Taco -- colorfully decorated seating area, with the regulation TV competing with a jukebox; nice gal behind the counter; and an open, breezy feeling. And I thought the courtesy plate of chips/bean/salsa palate cleanser was a cool touch. But I foolishly veered from the taco mission and tried a sopes plate, and found them to be sub-par. I would go back, though, and try tacos next time.